Remember when you were a kid dreaming of summer days spent hiking, fishing, and playing outdoors? Childhood looks a lot different today than it did 30 years ago. Today it is a rarity to see children and teens without their heads buried in their phones, iPods, and video games. 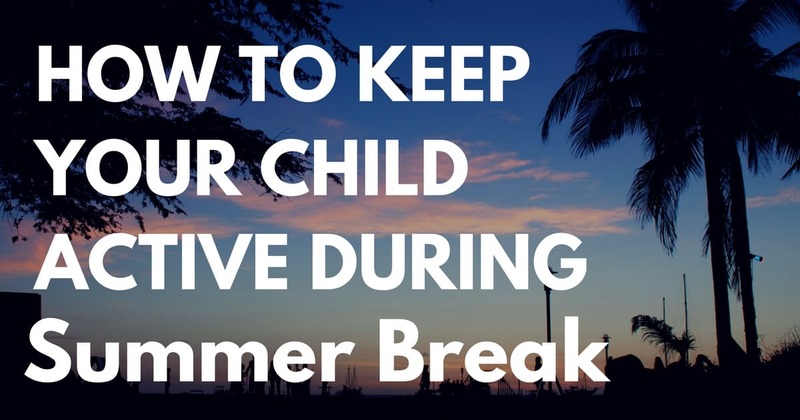 With the increasing reliance on technology and how easily accessible it is for kids, it is not difficult for them to get hooked on spending their summer vacation engrossed in video games, texting, and lounging in front of the television. With more kids heading down the path of unhealthy sedentary lifestyles, it is important to spark a passion for activity within your child to not only keep their bodies and brains healthy, but their development on track – and summer is the perfect time to get them moving. Here are some ways to inspire your kid to crave the outdoors and encourage them to live and love a more healthy and active lifestyle. Signing your child up for summer camp is a great way to get your kids more acquainted with the outdoors. Many camps features daytime and overnight options during the summer and focus on introducing kids to nature through a variety of outdoor and teambuilding activities. These types of camps are a fantastic way to teach your child some useful life and social skills while having fun at the same time. One of the best ways to ensure your child is getting his/her daily dose of exercise is to get out there and be active with them. The National Summer Learning Association recommends going for a walk, playing a sport at the local park, or creating a scavenger hunt that you and your kids participate in together. Not only does this get you both moving, but it inspires a healthy bond between you and your child. If your child does end up spending some time in front of the TV, us it you your advantage! Make sure educational programs, such as National Geographic, Discovery Channel, and Animal Planet, are part of their TV schedule. Additionally, urging your child to spend some time reading everyday is a great way to keep their brains and imaginations keen and can also help expand their vocabulary and reading skills. Sometimes getting outside in the summer can be difficult due to rain storms or heat waves, but that doesn’t mean you can’t stay active indoors! Doing chores together, such as dusting, sweeping, laundry, and washing toys can be a great way to stay moving and help your child feel like a responsible part of the family. Keeping healthy snack options in the house and avoiding junk food altogether can help keep your mind at ease and groom your child into developing healthier eating habits. Learning shouldn’t stop when school does. Use the summer months to explore new hobbies, learn about responsibility and build on social skills learned during the school year. Whether it is playing sports and games outdoors, visiting the museum, or spending quality time with mom and dad, you can encourage your child to disconnect for summer and get moving! For more ideas for fun outdoor activities, go here. Lindsay Williams finds any excuse to escape to the beautiful outdoors. As a passionate runner and writer for Avid4 Adventure, she loves to take advantage of Colorado’s 300 days of sunshine. With a Bachelor’s Degree in psychology, Lindsay loves to learn about others and connect with them on a deeper level.